SilverServers Features Stunning Websites of Some of Our Kamloops SEO Clients - SEO And Website Design Projects | SilverServers Inc.
For your Kamloops business web design and development needs, you can place your confidence in the team at SilverServers, who bring you 20 years of experience in building innovative websites from the ground up. We work with business clients throughout British Columbia, and around the world in helping them to present their products and services with websites that are technically and aesthetically...well, amazing really. There, we said it! 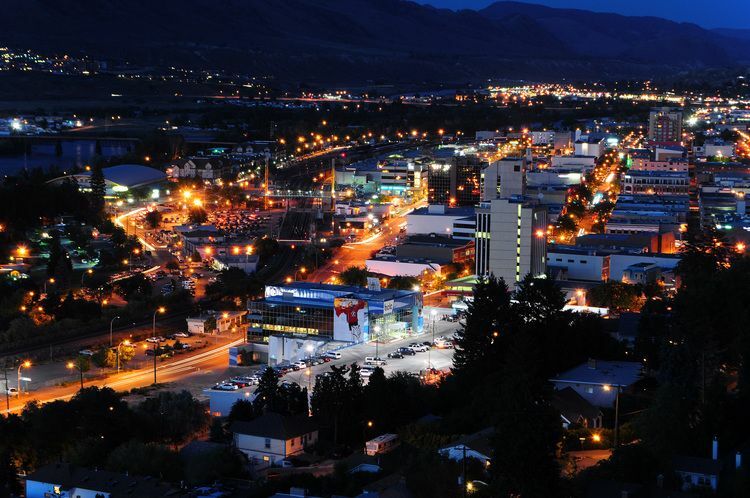 Below are featured some of our Kamloops Grassroots websites that stand out for many reasons. • Fast loading and lightweight with easy-to-follow layout. • Straightforward, bold, and informative descriptions of what the businesses offer and how it will benefit their customers. • WOW graphics and photos that grab a viewer's attention and make you want to explore further. • Numerous resources on their sites, such as tips, videos, estimators, links to other helpful sites, easily accessible links to their social media sites, and so on. • Some of them blog regularly enough - from a content perspective, they could all blog more. Once a month is a minimal blogging goal to keep customers informed and to steadily build authority with search engines. Let's start with food. Nourishing Gourmet Catering has a mouth-watering website, with professional photos of food and happy people throughout. While landing on page after page of beautiful gourmet meals that simultaneously inspire and humble a viewer, one is calmed by a rustic wood grain background graphic that expands on the slate grey and muted teal brand colours. Brilliant strategy that makes a bold statement. Nourishing Gourmet is located in Kamloops, yet they have a vast 250 km service area! They source many of their ingredients locally and have even formed partnerships with some local farms. Plus, all their menu and catering options are available on their website, which makes it easier for interested visitors to follow through and become delighted customers. Bon Appetit. Because smiling is one of the top behaviours that attracts other people, it makes good sense to include pictures of smiling people on a home page. GO BOX Storage has an exceptional website that is technically and aesthetically pleasing, with smiling faces and testimonials fading in and out on the home page to welcome visitors. The site features a great design and colour scheme, numerous resources such as estimators, online booking capability, regular and educational blogs, FAQs and storage tips, videos, and step-by-step processes about how to use their services. GO BOX offers discounts, and tries to make it very easy for you to save money moving and storing your belongings. Links to their YouTube and Facebook are easy to find. On their contact page, GO BOX Storage provides their year-round yard hours and a monthly calendar with all their scheduled delivery days, along with a link for you to add their delivery days to your Google Calendar. The page finishes off with a question that is more of a statement: Why go to a mini storage when a GOBOX can come to you! Good question. Inbound marketing empowers and educates website visitors, therefore, offering resources and information helps people make educated choices. For a crisp, eye-catching website with great content describing what they offer and how it can benefit you, check out BlueWhite Health Acupuncture & Herbal Medicine. They draw insightful parallels between the ancient modality of Traditional Chinese Medicine and health concerns modern people face. To make it easy, there are icons linking to the services at the bottom of each page, along with the BlueWhite Facebook feed. The News and Tips page on the BlueWhite website offers a fair diversity of topics, from dealing with insomnia to using Tui Na massage for children with autism. Fees are stated clearly on the site, as are the hours of operation. In addition to written testimonials from satisfied clients, BlueWhite Health has included a number of short video clips accompanied by information and treatment options for various conditions. Keep it up, BlueWhite Health. Video content is becoming a very powerful tool for businesses to get messages out there to current and potential customers. We will finish our feature article with TasteFull Excursions, a wine tour and shuttle transportation business that operates throughout British Columbia. There is plenty of great content on the site to explain who, where, what and so on about this diversified small business. Diversified is the word, as “TasteFull is Kamloops first wine tour company and is now the official Sun Peaks shuttle service provider with an expansive fleet of luxury tour vehicles and professional driver guides…” This diversity allows the business to put their drivers and fleet to work year-round. It is easy to book yourself and/or group in for wine tours, shuttle services, special events and more on their website. SilverServers created a custom API integration (Application Programming Interface) with the Zaui booking software TasteFull Excursions was already using, so their customers can easily book shuttle services online from any device. Experience a safe and tasty wine tour. If you can provide visitors with the ability to book your service or purchase your product on your website, they are more likely to do so than if they have to call. Thank you for joining us on this journey through the websites of some of the business clients we have the pleasure of working with. For some of our business clients, SilverServers re-codes existing websites to our high standards, and for others our team develops and designs websites from the concept up. All of these businesses featured receive monthly Grassroots SEO services, which include website hosting, Content Management Services, 24/7 website monitoring, and more depending on the package each business requires. Contact Us to find out how our team of Kamloops web developers can help you optimize your business website.